Local Man drowns on river. 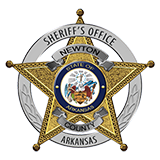 On July 12th, 2015 at approximately 3:00 P.M., the Newton County Sheriff’s Office received a 911 call reporting a possible drowning near Wells’ Creek on the Buffalo National River. Rescue and medical personnel were dispatched to the area and located the victim, Gary McClung, III, aged 23 of Western Grove, Arkansas, just downstream from the confluence of Wells’ Creek and the Buffalo River. A helicopter from the Air Evac 40 base in Harrison was able to land on the gravel bar where the victim was located and were the first personnel on scene. It was determined that McClung had been swimming in the area with a family member and had jumped from a small bluff, approximately 12 to 15 feet, into the river below. The family member heard McClung hit the water, then lost sight of him for a short period of time, but heard no signs of distress. When the family member again saw McClung, he was floating downstream. The family member was able to climb down the bluff to a gravel bar and pull him into shallow water and begin CPR. Passing canoeist saw what was happening and responded to help. CPR was continued for some time, but was unsuccessful. McClung was later pronounced dead. McClung had swam down to the area prior to jumping and checked the water for depth and hazards. Personnel from the Newton County Sheriff’s Office, National Park Service, Hasty Volunteer Fire Department, Tri-County Search and Rescue, BUFFSAR, North Arkansas Regional Medical Center EMS, Air Evac Lifeteam, the Newton County Coroner’s Office and the Boone County Coroner’s Office took part.